Soldier homecomings always get me right in the feelings. I know that aching hole in your heart when your soldier is away and that elation when he returns home. 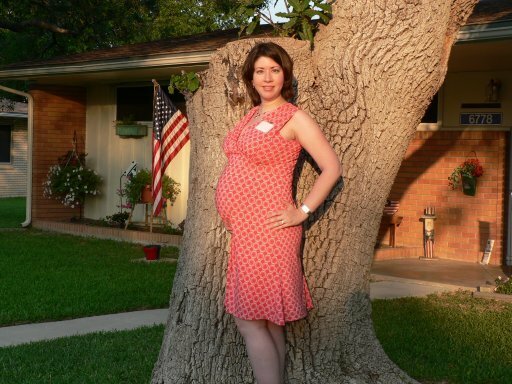 When my husband was deployed, I was carrying our first child. So, there were plenty of distractions as I went to midwife appointments and put together baby furniture. I also stayed active in our community, volunteering with the Family Readiness Group (FRG), tutoring at-risk kids at the local high school, and organizing projects with the Junior League. And I went out with friends to concerts and dinners and craft fairs (where I could find more baby furniture). Still, there was nothing that could replace my soldier in my life. He was always on my mind, no matter where I was. I lived for his e-mails and our Skype sessions. As soon as he would call, I felt like I came alive. Hanging up felt like the wind was knocked out of me. I sent him whatever I could–vacuum-sealed treats, a little “picnic in a box,” some holiday decorations for special days–but there is nothing quite like being there together…and warm food outside of mess hours, and hot showers, and a nice comfortable bed probably rank up there, too. We dreamed of his homecoming. I had so many welcome surprises planned, including all the comforts of home he missed so much overseas. Life overtook us, though–our daughter was born with a congenital heart defect and my husband’s homecoming was for her open heart surgery. Of course, we all got the best gift–our family reunited! 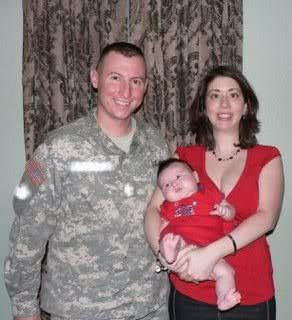 Still, I love seeing soldiers get the full treatment I would have loved to have given my husband when he returned home. So, I am excited to see “A Hero’s Welcome” on November 11 (very appropriately, Veteran’s Day), 2014, premier on some of my favorite networks, including HGTV, Food Network, and the Cooking Channel. Marie Callender’s, the USO and an army of experts from food, home and travel provide the comforts of home for one special returning soldier. The one hour television special, “A Hero’s Welcome,” will be hosted by Robert Irvine from Restaurant Impossible, Genevieve Gorder from HGTV Design Star and Gary Sinise, award-winning actor and founder of the Gary Sinise Foundation. Visit ComfortsfromHome.com to learn more about how you can join Marie Callender’s in helping to bring a little bit of home sweet home to our U.S. service men and women overseas. 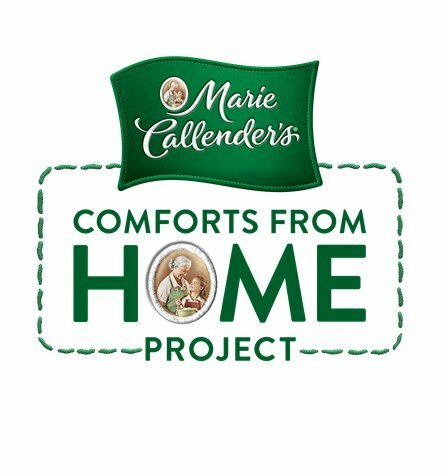 Tune-in as Marie Callender’s, the USO and an army of experts from food, home and travel provide the comforts of home as only Marie Callender’s can, in a truly heartwarming homecoming you’ll always remember. “A Hero’s Welcome” will welcome one special soldier back to their family in a national television event airing on Veteran’s Day, November 11, 2014. The one-hour TV special will air across a range of your favorite networks including HGTV, Food Network, Cooking Channel, Travel Channel, DIY Channel, and Great American County. I have been selected by Tap Influence to be a spokesperson for Marie Callender’s While I have been compensated for my time, my opinions are my own. Subaru Forester wants to know what’s life like in your backseat? Is it a jungle back there? A sporting goods store? A motel on wheels? How Do Military Families Feel About the Repeal of Don’t Ask, Don’t Tell? I remember getting into a twitter tiff a few years ago with a fellow conservative about the repeal of don’t ask, don’t tell. The gentleman basically accused me of pushing my liberal agenda at the expense of our men and women at arms. At which point, I informed him that I am hardly liberal and my husband was currently deployed to Iraq. My follow up question was, “When did you serve in the military?” At that point, he simply thanked my husband for his service and went his merry way. DISCLOSURE: This post was sponsored by Dove Men+Care via MSB New Media. All opinions and words are my own. As always, my time can be hired but not my opinions are not for sale. Wave after wave of intense contractions and where is that guy who got me into this mess in the first place? Stuck in airport traffic. That’s probably a nightmare scenario for most first-time moms. The airport for me, though, was Baghdad International Airport. So your time as a military family is drawing to a close. As was suggested in the first part of this series, you’ve bulked up your emergency fund, paid down your unsecured debt as best you could, considered additional sources of income, dusted off and updated your resume, and done what you could to increase your job skills. Excellent work! Now it’s time to consider a few details that are often overlooked in the transition out of military life. I like mnemonics so we’re going to stick with the ‘vowels of transition’ here: A, E, I, O, U…and sometimes Y. The drawdown in Iraq is pretty much complete and the withdrawal in Afghanistan is getting started. After 10 years of war, many of our soldiers, sailors, airmen, and Marines are coming home. But they are coming home to a decidedly smaller military force and some will be coming home to the military’s equivalent of a pink slip. Promotion rates are dwindling and the number of servicemembers being shown the proverbial door is rising. If you’re anything like me, you’ve operated under the assumption that you’d be a military family until YOU decided (or your spouse decided) that you were done but that’s not how it is anymore. There is a LOT of uncertainty in the military these days. This is the first of a two-part look at getting out whether it’s by choice or not. First, we’ll look at how you can prepare for a possible separation. Even if it’s unlikely, it’s still a really good idea to be prepared. 1. Establish or bulk up your emergency fund. Financial advisers will suggest that you have at least 3 months’ living expenses in your emergency fund. Given the current economic situation in this country, I’d recommend 6 months. That doesn’t mean that you have to have it tomorrow. Let’s say you have $1,000 in your savings account right now and you don’t regularly set savings aside. When the next pay period rolls around, see if you can set aside $100 or even $50. Sometimes the hardest part about anything is taking that first step. 2. Pay down any unsecured debt you may have. This is actually tied for #1. It doesn’t make any sense to earn 2% on the money you have sitting in your savings account if your $5,000 balance on your Visa is sucking 15% interest out of your checking account. Sell some things (Craigslist! eBay! Yard sale! ), revisit your budget and cut back on the things you can stand to give up (cable TV, 1 dinner out per month, unlimited data on your cell phone), look into other sources of income (side jobs, babysitting, etc.) and do what you can to ditch that debt as quickly as possible. 3. Add income. As I mentioned in the point above, bringing in extra income is a great way to help pay down debt and add to your emergency fund. As we faced the possibility of my husband getting out of the Army, he and I both started looking for ways to bring in extra monies: watching a friend’s children (me), doing some basic editing on written works (me), doing basic maintenance on friends’ cars (him), recovering data from a failed hard drive (him), selling plasma (us), picking up odd jobs at our church (us). Many times, it’s just a matter of talking to people and seeing what they need and then offering your services. Maybe you like to sew and someone has a few pairs of jeans that need repair – I’d be willing to pay $20 to have my jeans fixed! You can sell stuff too – is there a bookstore in your area that buys used books? I’ve made anywhere from $20 to $65 selling off some of our old books and homeschool curricula. 4. Increase your job skills. Is there a local class you can take to learn how to use Excel (often libraries and community centers will offer these. And there’s always the Education Center on post.) or other computer programs? Does the community college in your area offer low-cost classes in areas that you or your spouse might be interested? If so, you might want to consider taking one. The skills and connections you make now may make the transition easier down the road. 5. Dust off that resume. Even if you’re not really facing the possibility of getting out, it’s a good idea (for you as well as your spouse) to keep your resume up to date. You or your spouse may not need it for a while but it’s better to have it and not need it than need it and not have it. The education center will often have people that can help retool a resume. Other spouses in your area might also be able to help get a resume in working order. The internet is always a wonderful resource and there are plenty of free websites out there with helpful information. The best thing you can do in these uncertain times is to be proactive. Don’t wait for bad news to hit to get things in order. Do it now while you have the time and you’ll save yourself headaches down the road. Next up: You’re getting out…now what? 1. Less Facebook and more face-to-face. my comfort zone and get involved. 2. Choosing to be ‘better’, not ‘bitter’. people are bitter by nature. Some people are bitter by habit. It’s time to kick that ‘i’ to the curb and choose a new vowel – ‘e’…as in bEtter. Yes, separations are rotten. makes the difference. And that perspective is a conscious choice…sometimes daily and sometimes hourly. member or that of a medical professional, there is NO shame in asking. There is strength in recognizing that need and there is strength in asking for that help. perfect. Not even the General’s wife. Happy 2013! Homeschooling is quickly becoming a viable alternative for many military families. Additionally, homeschooling is becoming more ‘mainstream’ in the civilian world, adding to its viability as an option for military families. Military families move an average of once every 2 to 3 years, often in the middle of a school year, and that instability is what compels many military families to opt for schooling their children at home. Take a walk down the aisles at either your local library or your local bookstore and the section on education and homeschooling can be a bit overwhelming. So where do you begin? Here are some suggestions and resources to help get you started. First, you need to consider why it is your family is choosing to homeschool. When we made our decision to start homeschooling, the first thing I did (because I am a big list maker/writer-downer/journaler) is to write out not only my reasons WHY we were choosing to homeschool as well as a few goals. Our list of goals is actually quite fluid, changing not only from year to year, but also subject to subject and even unit to unit. You’ll find that your goals will actually help you choose what path to take with regard to curricula. In addition to your reasons and goals for homeschooling, you need to look into your state and local homeschooling requirements. Some states regulate homeschooling more stringently than others. The Homeschooling Legal Defense Association (www.hslda.org) is a wonderful resource for this information. You do not need to become a member of HSLDA – though I would recommend it – in order to access this information on their website. You can also look up your state’s department of education and search for homeschooling laws and policies. Following the state’s guidelines for homeschooling is very important and should be one of your first steps. Now it’s time to look at curriculum. Once I had a good idea of our goals, I sat down and really thought about the ways in which my children learn best. I have one child that absolutely loves to read and often times needs to be reminded to pull her nose out of whatever book it is that she is buried in to join the rest of the world. Because of that, I knew that whatever curricula we chose should rely heavily on literature and give her ample opportunities to read as part of her learning. My other child is much more of a kinesthetic learner, preferring to “do it” as opposed to simply reading about it. Therefore the curricula we chose for him needed to have plenty of hands-on learning. From there, I started researching curriculum. I researched not only by reading books about curricula but also by talking to other homeschooling parents and asking them what worked for them and why it worked. This part of the process can be incredibly overwhelming as there are literally hundreds of choices for each subject. Do not let yourself become overwhelmed! Remember this is a marathon, not a sprint race. Do your best to find what works for your child(ren) but also give yourself the leeway to change curriculum if need be. Case in point: we started off with what I thought would be a fantastic language curriculum only to get about halfway through the year and then realize that it was horribly dry and boring. So we switched! I purchased the curriculum used and was able to sell it for about what I paid for it so I really wasn’t out much money and we found something that worked much better for us. There are hundreds and hundreds of methods and curriculum options out there. Some people prefer to go with an all-encompassing curriculum choice, such as Sonlight or Abeka. Some people prefer to piece things together, choosing different publishers for language, math, history, science, etc. And some people eschew the idea of structured school all together and, instead, opt for a more relaxed approach to education and learning via the ‘unschooling’ route. Every family is different. Every circumstance is different. The key is knowing both your children’s learning styles and what your goals are for them. Remember, this is a marathon, not a sprint! Grandpa was staying with me while my husband was on a two-week National Guard drill. I put the baby back in his co-sleeper and followed Grandpa down the stairs. He gestured to the closed dining room door. I opened the door, with a chill of dread. Swarming all around my chandelier. Before I slammed the door shut, I got a glimpse of a gaping six inch hole in my wall, where the wasps had broken through. I could hear the buzzing through the closed door. My grandfather picked up a newspaper and rolled it up. “What are you doing with that?” I asked. “I can swat them,” he replied. After taking the newspaper away from him and making him promise to not try to deal with the wasps himself, I called every exterminator in the phone book. Since it was Sunday, at least half did not even pick up the phone. Finally I got someone on the line who wanted to schedule an appointment…for Tuesday. A cat batted at a wasp that had escaped the confines of the dining room while my grandfather swatted at another. They sent over what, I imagine, must have been someone’s cousin’s neighbor. The “exterminator” sprayed something all over the dining room, which killed the wasps but also killed all my plants and left a powdery substance, mixed with dead wasp carcasses, all over my dining room. We ate take-out on the living room floor. My grandfather cleaned most of it up, avowing that, at 95, he had little to fear from long-term toxin exposure. The next day, the company sent someone who knew what they were doing to clean up the rest of the mess. Photo by Flickr user Brenbot. In honor of Life Insurance Awareness Month, the nonprofit LIFE Foundation is giving away great prizes for the best Life Happens moments. You can enter the contest any time before Friday, October 7th. Make sure to encourage your friends and family to vote for your story as the Life Happens moments with the most votes will win (voting ends Friday, October 14th). First place will receive an Apple iPad® , second place will receive a $350 Apple gift card and third place will receive a $150 Amazon gift card. Life Happens. And while you can’t control the future, you can take steps to protect the good things in life. Take a look around The LIFE Foundation website and learn more about how life insurance can help safeguard a secure financial future for those you love.